I love creating colorful toast and partaking in an act which I have dubbed a ‘toast extravaganza’. This is not your everyday avocado toast, but rather for those days when you want to kick things up a notch. For more toast inspiration and the recipe for grain-free bread, click here! 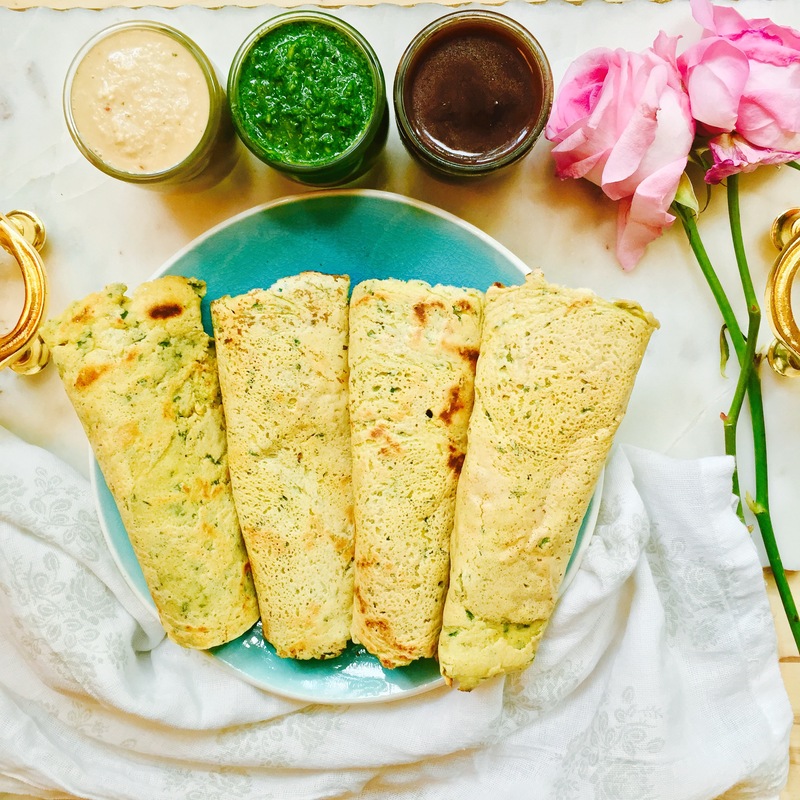 Savory Indian chickpea flour crepes with chutney (or any topping your heart desires)? Yes, please.